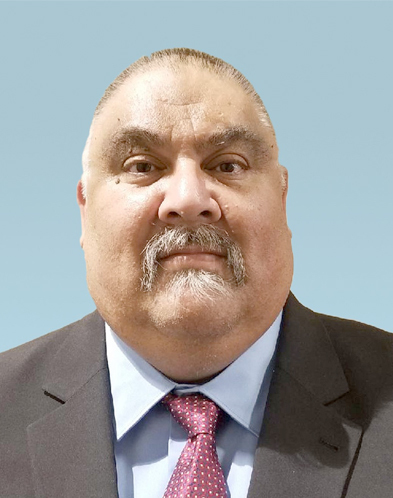 Anaheim, CA – February 1, 2019 – Cadence Aerospace, a provider of highly complex aerospace components and assemblies to commercial and defense customers, announces the appointment of Edward (Eddie) Torres as Vice President and General Manager of the Company’s Tell Tool Operations in Westfield, Massachusetts. With Centers of Excellence based in the U.S. and Mexico, Cadence Aerospace serves the world's leading manufacturers of aircraft, aerostructures, aeroequipment and other defense platforms. In his new role, Mr. Torres will be responsible for all day-to-day operations at the Cadence Tell Tool location in Westfield, Massachusetts, including manufacturing operations, profit and loss, business planning, quality, staffing and customer engagement. Mr. Torres joined Cadence Aerospace in January 2018 where he has held positions of increasing responsibility. In his most recent role as Vice President Operations & Engineering at Cadence Aerospace—Tell Tool, he was responsible for managing the Quality Engineering, Inspection, MRB and Root Cause Corrective Action (RCCA) teams as part of his oversight for the performance of the operation. Prior to joining Cadence Aerospace, during 2017-2018, Mr. Torres served SQA Services, an aerospace parts and metals supplier, as Regional Senior Supplier Quality and Trainer. There, he was responsible for driving supplier performance improvements among suppliers of metals, tooling and composite parts. Earlier in 2016-2017, he served the independent consulting firm Quality Consulting as Quality System and Corrective Action Consultant, where he supported a range of procedures and updates to client business manuals regarding digital product definition for certification and preparation of AS9100 RevD and NADCAP requirements. At AVCORP Composite Fabrication/HITCO Carbon Composites, Mr. Torres held five positions of increasing responsibility during a 15-year tenure, finishing his career at the company in 2016 as Quality Manager, leading commercial quality engineers and other teams for customer programs including Boeing, Pratt and Whitney, Spirit AeroSystems, and Fuji Heavy Industry. He also served as Director of Quality, overseeing engineers, inspectors, MRB, material testing lab, calibration, non-destructive testing, quality management system, quality assurance specialists and documentation teams. In addition, Mr. Torres was Quality Engineering, MRB, Inspection and RCCA Manager, and earlier, he was Quality Inspection and Operations Manager. Mr. Torres joined the company as Chief Inspector, supervising and training inspectors on new digital equipment and performing supplier audits. His career at Cory Components/Matrix Science Corporation, a supplier of parts and metals to the aerospace industry, spanned 11 years. Mr. Torres joined the company in 1990, serving as Tooling and Source Inspector, utilizing a series of specialized software programs. He later was promoted to Inspection Supervisor in 1999 and oversaw inspections performed for Boeing, Lockheed Martin and Northrop Grumman programs. Mr. Torres studied Business Organizational Management at the University of Phoenix, CA.